American Traders Composite Canoes are built in our workshops in Canada to exacting standards by our master canoe builders. Blending time-tested classic designs and the highest quality materials. 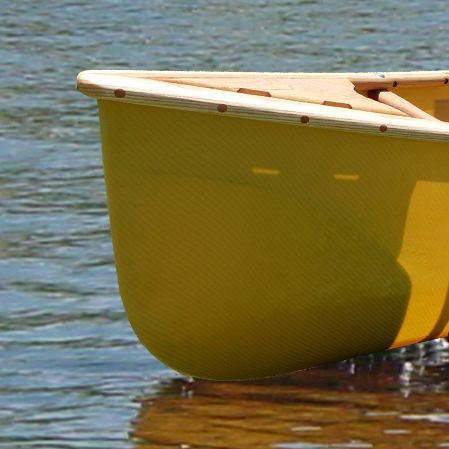 American Traders produces the finest canoes available in the world today. The SPIRIT Canoe line expands our connection to the water, paddling and outdoor life with light-weight Carbon and Kevlar® canoe models of unsurpassed quality. In the last 10 years there has been significant development in composite manufacturing materials. 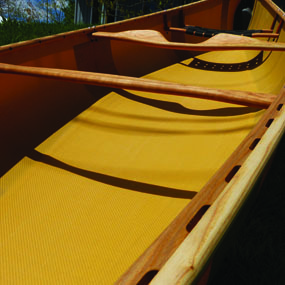 Aerospace, automotive and energy markets have driven development in fabrics, materials and techniques that are far removed from the crude fabrication methods of earlier fiberglass canoes. We can now build a better, lighter, stronger canoe with the benefit of all these advances. SPIRIT canoes are built using E-fusion, infused epoxy resin cured in a 100 degree temperature controlled environment. Epoxy is by far the best choice for building canoe hulls, the resin molecule chain is stronger than poly or vinyl-ester resins and there is insignificant resin shrink in the cure process. When cured, the epoxy provides a stiffer hull that still remains flexible. Infused resin allows for optimum lay up with the correct proportion of resin to material providing maximum strength for minimum weight. Our hull is strengthened with cork rib reinforcements, a natural energy absorber with excellent impact and damage tolerance. Just perfect for rock and shore impacts. Also, cork does not absorb water and is an environmentally friendly choice as it is sustainably harvested without harm to the trees. Click here to go to our Classic Canoe List. Canoes are trimmed with the finest quality Ash, Cherry or Spanish Cedar (chosen for it’s lightweight characteristics) and finished to perfection. Gunnels are scuppered and fastened from the inside, distinctive scuppered decks, back relieved to remove weight add functional good looks and like the gunnels, drain water when the canoe is upside down. Steam bent contoured seats, a deep-dish shaped yoke and thwarts complete a premium wood trim package... Composite trim package available on some models. 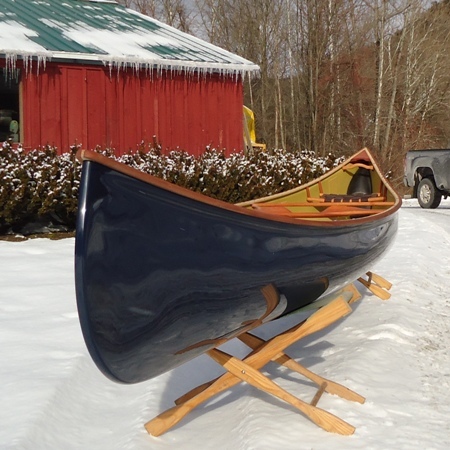 15ft and 16.6ft Prospector canoes 16ft Recreational and 17.4ft wilderness tripper canoes are currently available.